The Park is the perfect stage for events whether its exploring the Parks wild side with the Countryside Rangers, enjoying a night out at a ceilidh or shopping at the Cairngorms Farmers Market. 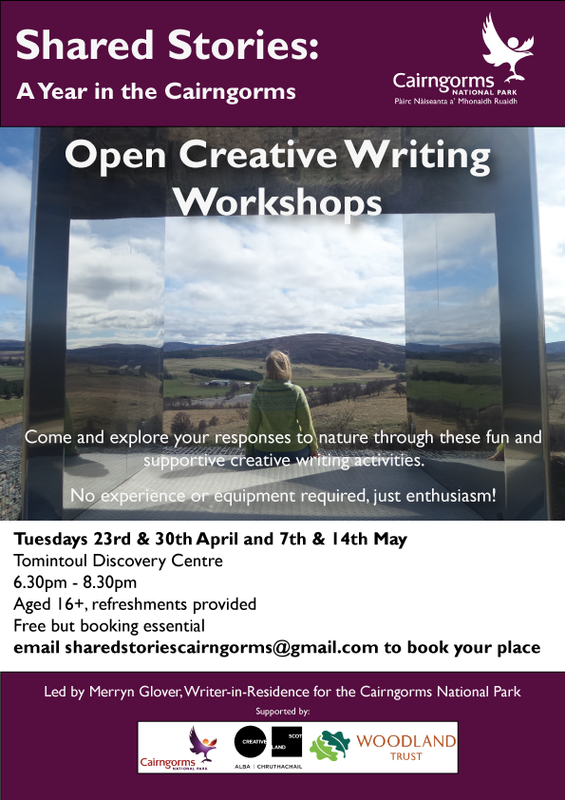 Come and explore your responses to nature through these fun and supportive creative writing activities. No experience or equipment required, just enthusiasm! Join a reserve Warden to look for seasonal wildlife. April is all about birds. What will we spot? We never know! Join us to find out. A three-mile walk along rough paths. A walk across RSPB Insh Marshes with the Reserve Warden. This is one of Scotland’s best inland breeding sites for waders, especially curlews. We will explore some of the rarely visited parts of the reserve and then return along the Badenoch Way. Do you have what it takes to be a golden eagle? 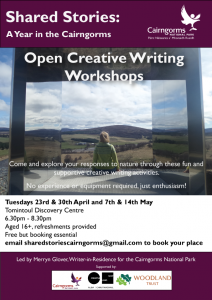 Drop in, self-led event aimed at family groups. Follow the marked trail and see if you can answer the questions and complete the course. Pick up your free activity pack from the Glenmore Visitor Centre before you start. Distance approx.2.4 km and suitable for wheelchairs and buggies. Please no unaccompanied children. 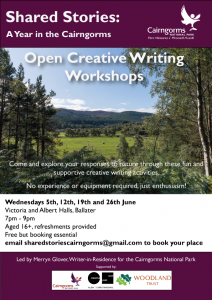 A unique opportunity to witness one of nature’s most beautiful displays in the amazing Glen Feshie (part of the really exciting Cairngorms Connect). Watch the splendour of a Black Grouse lek while munching on a bacon roll and drinking fresh coffee. As with all ranger events we will be enjoying fresh air, company and wildlife sights and sounds. Dress warm as we’ll be stationary. Suitable for those with mobility issues as a minibus will be provided. Pick up Grantown-on-Spey. Meeting place to be given out after booking via email. Drop in and join fellow dog walkers and their four-legged friends on a walk in the beautiful Anagach Community Woodland. A great chance for your dogs to socialise in these stunning woodlands and learn some hints & tips from Sue Williams, a local dog trainer on how to enjoy wild places safely with the incredible wildlife of the pine forests. Why not finish your walk by treating yourself to a well-earned cup of tea & slice of cake in the club house afterwards? An opportunity to ‘put something back’. 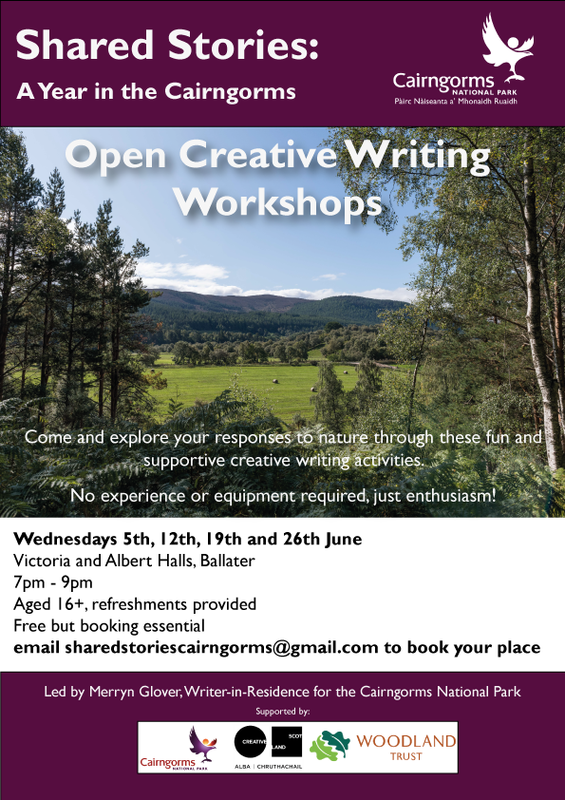 Work with the Glen Tanar Ranger Services and John Muir Trust volunteers. Tools and instruction provided. Bring a packed lunch and wear comfortable outdoor clothes and boots. 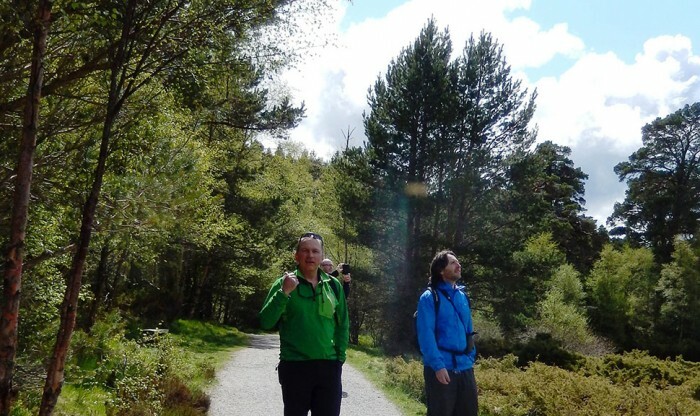 Join the ranger on a walk to Bachnagairn in Upper Glen Clova to observe the flora and fauna of the glen including Golden eagles, red deer and a variety of wild flowers. Join a reserve Warden to look for seasonal wildlife. May is all about birds. What will we spot? We never know! Join us to find out. A three-mile walk along rough paths. In glacial terms, a rôche moutonnée is a rock formation created by the passing of a glacier. This beautiful community managed site needs some hands-on love and attention. Join your local Countryside Ranger and Volunteer Cairngorm to restore this site to its former glory while using your muscles in the great outdoors! As with all ranger events we will be enjoying fresh air, company and wildlife sights and sounds. Suitable for families but no unaccompanied children please. Wear old warm clothes and decent boots or wellies. Warm drinks and biscuits provided. Bring lunch if you’re planning to do the whole day!